The nationally known and respected law firm of Beck, Chaet, Bamberger & Polsky, S.C., in Milwaukee is proud to enter its third decade of helping established and emerging companies and individuals with all of their legal needs. For more than 30 years, our Wisconsin business lawyers have offered comprehensive and practical business solutions for the complex legal issues of corporations and business clients throughout Wisconsin, the upper Midwest and the country. Along the way, we have dedicated ourselves to maximizing the business interests and profitability of businesses such as yours. Health care — representing healthcare systems, hospitals, physicians, medical clinics, long-term care facilities, manufacturers and suppliers of drugs and devices, etc. Hospitality — representing hotels, hotel management companies, franchises, restaurants, convention bureaus, movie theaters, etc. Professionals — representing accountants, architects, engineers, financial service professionals, attorneys, insurance agents, medical professionals, securities brokers and dealers, etc. Real estate — representing developers, lenders, owners, etc. Whether your business needs advice about mergers and acquisitions or contract law, labor relations and employment law, or pending commercial, civil and appellate litigation, you will appreciate the versatile team approach we use to efficiently solve your legal issues. Our Wisconsin business lawyers and employment law attorneys look forward to working with you and formulating effective legal solutions that fit your business needs. 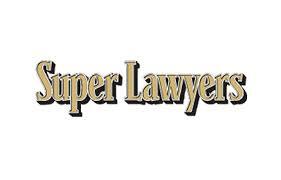 For more than 30 years,, our firm has been helping clients throughout Wisconsin, the upper Midwest and the nation. Let our corporate legal team help you. Contact us today. 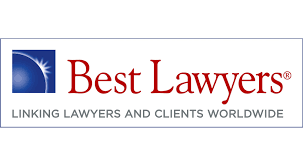 Beck, Chaet, Bamberger & Polsky, S.C is located in Milwaukee, WI and serves clients in and around Milwaukee, Cudahy, Greendale, South Milwaukee, Elm Grove, Butler and Milwaukee County.